“We started receiving enquiries about whether the house could be reproduced en masse, or whether we had a design that could be purchased off the shelf,” Whitaker told Dezeen. “People were making enquiries for holiday resorts in Jordan, or a series of Airbnb retreats across the United States, or sometimes just wanting to buy a unique prefabricated holiday house for their land in Aspen or the Hamptons,” he added. 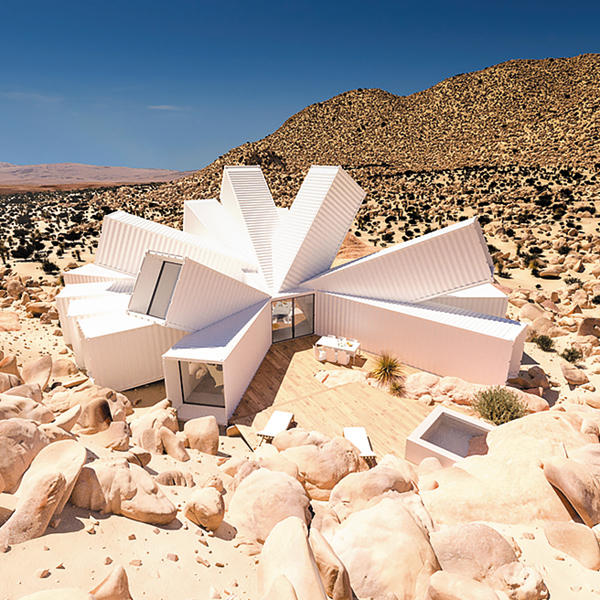 But the Joshua Tree Residence – which comprises a starburst of white cargo containers – was specific to its desert location and could not be recreated elsewhere, according to Whitaker. Probably a lot of these enquiries came about because the Joshua Tree Residence is created out of shipping containers, so people maybe perceived it as easily transportable. The joy of that project though is taking something that is highly generic and transportable, and turning that into something very unique and site specific. Basically, Joshua Tree Residence wouldn’t be a mass produce-able house. But that raises the question, what would be the answer to a prefabricated, modular house? “The starting point was that I wanted there to be the potential that no two homes look the same – every client’s home to be unique.” continues Whitaker. 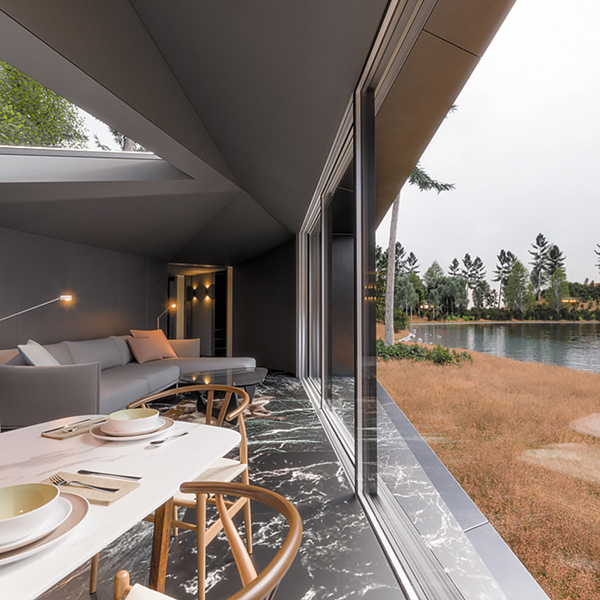 “And I wanted to create a design that, using standard elements, could create a 5-bed hilltop house or a 1 bed lake edge villa, associated with a hotel. So far, we’ve designed 3 different bedroom units, a living room unit, a kitchen unit, a bathroom unit and a study unit, and with time this will be expanded upon. Each unit has two or more openings that can be the point of connection to the next unit or can be capped with a window or door. So, every time you add another unit there are at least 2 orientations for that unit, and with no limit on how many units you can daisy chain together there is an infinite number of possibilities. Each unit has been constrained to dimensions that are transportable by road to allow them to be completely fabricated off-site”.